Spain became one of the European countries known for producing leaders in the racing world, is no exception with the automotive designers. 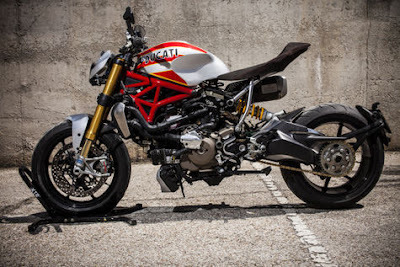 One of them is the XTR Pepo, a Madrid-based home modification, which recently managed to build a very cool motorcycle modifications. Relying on some fabrication parts that has worldwide, quality materials with more strength but lightweight - carbon fiber always managed to create a sporty character which is always impressive. No doubt, the step of 'mutilation' or cutting some subframe sectors carried by XTR Pepo team to create motorcycle that is authentic and increasingly characterless. 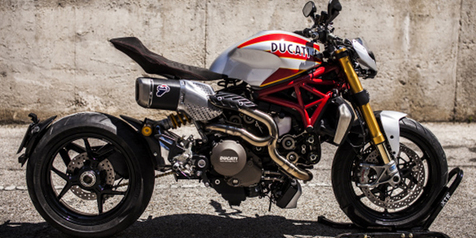 If you notice upholstery sector, so the first impression is a radical streetfighter. 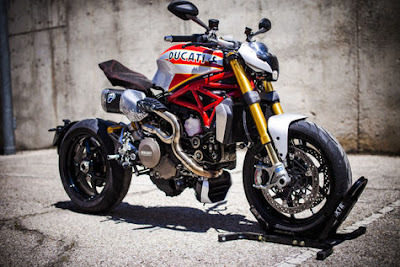 The name of the world renowned automotive aftermarket components such as Termignoni, Ohlins and others not only managed to make it look fierce, but also able to improve its performance as the king of the streets. It was not called as a modification motorbike if the aspects of custom parts or the handmade parts of works of the builder does not appear, nor did the Siluro - at least Pepo must be make by handmade some parts such as mudguard, fuel tank, headlight, some covers and protectors which has become a character of its own.